You are strongly recommended to take adequate insurance for all passengers. Valid passport from a Visa Waiver Program country. Valid credit card (MasterCard, VISA, American Express, and Discover (JCB, Diners Club)) to pay US $14 per application. The VWP allows most British Citizen passport holders to visit the US for up to 90 days. The types of journey permissible under the VWP include tourism, certain types of business visit and transit to another country. You have travelled to Iran, Iraq, Sudan or Syria since March 2011. Certain exemptions apply on a case-by-case basis to those who have travelled to these countries: on official duty on behalf of an international, regional, or sub-national organisation, a humanitarian NGO; journalists who have travelled for reporting purposes; UK military and government personnel, and those who have travelled for legitimate business purposes to Iraq, or Iran (after 14 July 2015). You should apply to the nearest US Embassy or Consulate for a waiver. Additionally, from 1 April 2016, all travellers wishing to enter the US under the VWP will need to hold a passport with an integrated chip (an ePassport). 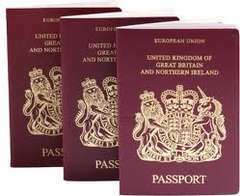 British passports issued since October 2006 are ePassports and carry this internationally recognised symbol on the front cover. Those travelling under the VWP arriving by air or sea should provide details online at least 72 hours before travel. This is known as an Electronic System for Travel Authorisation or ESTA. If you do not have an ESTA you’ll be refused travel to the USA. For more information, and to apply online, visit the official ESTA website. Approved ESTAs for entry into to the US for those who have previously travelled to Iran, Iraq, Sudan, and Syria, or for those who hold dual nationality of these countries, could be revoked from 21 January 2016 following a change to the VWP qualifying rules. You are advised to check with the nearest US Embassy or Consulate before travelling to determine if you need to apply for a visa. Changes to on-line information on the ESTA website about the new rules are not expected to be made until the end of February 2016. Therefore, if you have doubts about whether you’re eligible to enter the US under the VWP, or if you have any questions about visa matters generally, you should contact the nearest US Embassy or Consulate for advice. The overall level of FCO advice for the USA has not changed and there are no travel restrictions in place. If you plan to visit Australia for 3 months and you hold a passport from the European Union,you can apply online, free of charge for a 3 month visitor visa. This visa is called an eVisitor. If you hold one of these passports this is the simplest way to get a visa for your holiday.